We've all heard the rumors. We're all afraid and confused. 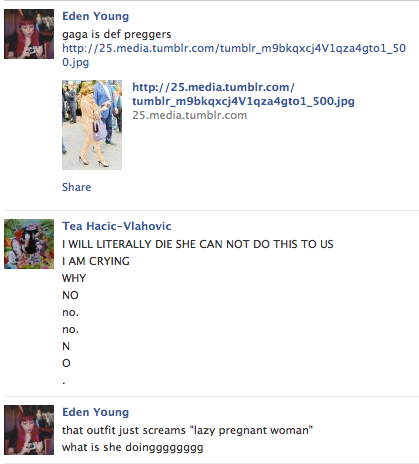 We feel betrayed, left out and let down by Gaga's uterus. Could this be real? And what does it mean? How will this affect Our Lives? What will she wear 8 months in? Will her ankles get fat? Will her next album be inspired by placenta? There's only one way to find out! ... Watch if you dare !!! Also you and Lady Gaga are twins.